The miracle, fervently awaited from PSG’s fans, didn’t happen and Barça finished on top, as usually, letting the Parisians lament about what if…? Whose fault ? 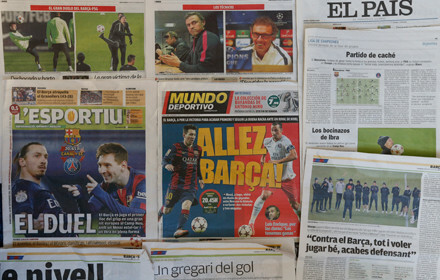 The players’, the coach’s or simply because of a good, solid and experienced Catalan team? Psg’s supporters came back home, not only disappointed by their team’s performance, but also angry about Laurent Blanc’s coaching. Paris finished second and they’ll likely have a tough time with a first leg at Parc des Princes against some European bigshot. 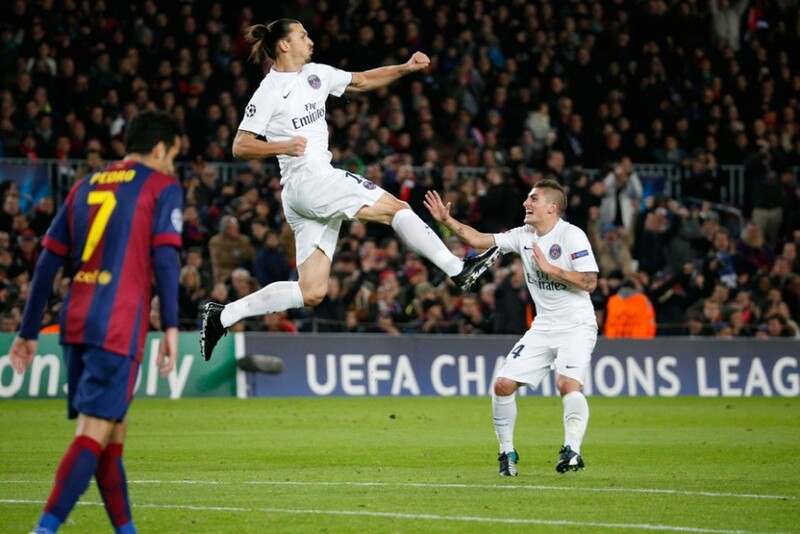 Barça came back from an early (14th) Ibrahimovic goal with two first half strikes from Messi and Neymar. Another goal, this time from Catalans third man, Suarez, after the break, fired them to top spot in Group F.
The Italian goalkeeper, should help more his team; he could do better for at least two of the three goals, he conceded. A good save against Suarez, but lacking concentration and assurance in almost all of his interventions. Struggling in defense, during the whole game, he was constantly harassed by Neymar, a living nightmare for the Parisian. No much luck with Xavi, either; he was eliminated pronto, before the third goal. 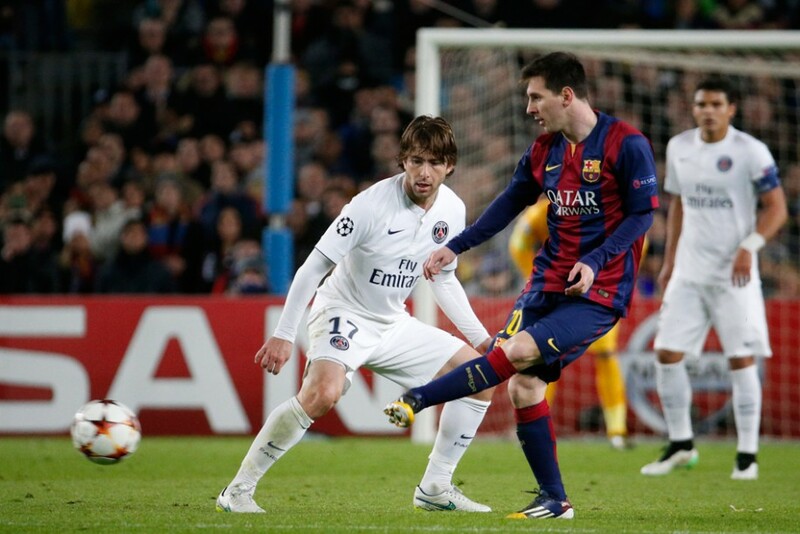 He was sooo good against the Catalans at the Parc des Princes ! What happened to the former Chelsea man? He produced some rare but quality game and in defending , a lack of involvement and speed, especially in the second half. Why, oh why he was on the pitch ? Because of the tag price, or the captaincy? The brazilian defender is still living last’s summer World Cup’s, nightmare! He was bad, so bad that any other coach, but Laurent Blanc, would prefer to leave him at home, in front of the telly. PSG’s best defender; not excellent, but he did the best he could to keep the Catalans out of his wing. Less good in attack, he missed an incredible opportunity to score.(62nd). Motta’s problems on the pitch are not recent; since the beginning of the season, he’s the shadow of his former self. Unable to win any duel, slow, he was more of a liability than an asset to the Parisians. The Brazilian international, was one of the best Parisians, on the pitch of Camp Nou. Good technician, won many duels and gave several good balls to his teammates. What a pity, though to miss such a good chance in the first half( 29th). HE IS BACK ! After a long absence due to a heel injury, the Suede international, scored a very nice goal at his former home of Camp Nou. He played some good balls and tried to give the opportunity to score, to his teammates Cavani and Lucas, but he wasn’t enough decisive, what a pity ! ‹ Football, mandatory in Chinese schools; good news, bad news ?